What is Baby Corn, anyway? Can you grow corn in containers? Why do cucumbers blossom but fail to set fruit? 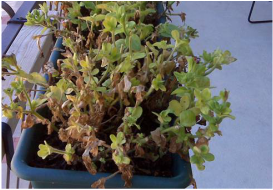 If your petunias are beginning to look a little scruffy in the summer sun, you may be afraid they are beyond repair. 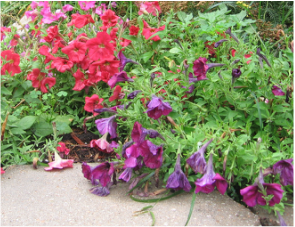 It is common for petunias to become scraggly and lose their appeal in mid to late summer when the temperatures soar and planters tend to dry out. These moisture-loving plants may even shrivel and appear to die when neglected for a day or two in the heat of summer. The good news is, they can often be revived. Examine the foliage of your petunias. Floppy, wilted leaves and flowers usually mean the plants need watering, but typically doesn't signal your plants need to be cut back. A good watering to moisten the soil to the root level will take care of the problem and revive your petunias within hours. But, beware that wilting causes stress to your petunias. They will bounce back after occasional wilting, but repeated wilting may cause permanent damage to them. If the foliage of your petunias looks dry and crunchy, you've passed the stage where watering will revive them, but that doesn't mean they are beyond hope. Trim the foliage back to healthy leaves. You may need to trim the plants back to within an inch or two of the base. Water your petunias thoroughly and keep the soil evenly moist. A flush of new growth will soon appear and produce new blooms. Within a few weeks your petunias will return to their previous vigor, as long as you keep them watered well. Water petunias planted in the soil to saturate the soil to the root level once a twice a week or whenever the soil dries or you observe signs of wilting. Those in containers and hanging baskets may need watering every day. Water them until water runs freely through the bottom of the pot. If the soil has dried and pulled away from the sides of the pot, submerge the entire pot in a bucket or barrel of water. You will notice a flurry of bubbles in the water as water fills the air pockets in the soil and the air bubbles rise to the top of the water. Soak the pot until the bubbles cease. 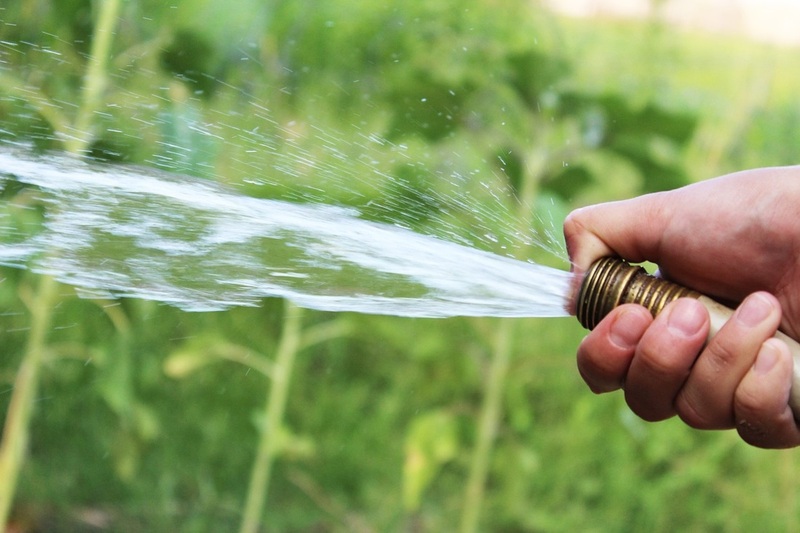 This may take up to 30 minutes, depending on the size of the pot and how dry the soil is. Petunias benefit from frequent fertilizing, especially when they are grown in containers, as nutrients leach through the bottom of the container when they are watered. I prefer Miracle-Gro, but there are other brands available. Feed your petunias every 10 to 14 days to keep them healthy and promote abundant blooms.